Playground Guardian’s exclusive “Cloud” based inspection software, Park Protector, is benefiting park and recreation departments all over the United States. From Riverbanks, CA to Austin, TX, Park Protector is moving park and playground equipment inspection processes forward. Park Protector inspection software isn’t just for inspecting playground equipment. Recently, Playground Guardian released an InspectALL add on module allowing users to inspect anything in their parks systems, including skate parks, trails, shelters, restrooms, ball fields, recreation centers, etc. In a matter of minutes, Playground Guardian can upload a department’s existing inspection forms into Park Protector’s software to be used for field inspections on a handheld tablet. A little over three years ago, Austin Parks and Recreation Department began using Park Protector software to inspect playgrounds in the field using their handheld tablets. Using the online software, the Department can track issues found during inspections, produce work orders for needed maintenance print reports, prioritize risk management concerns as well as maintain a digital inventory of all park sites and playground equipment. School districts have also benefited greatly using Park Protector’s online software. One of the Nation’s largest districts, Charlotte Mecklenburg Schools first started using Playground Guardian as a vendor to perform inspections, audits and ADA assessments. 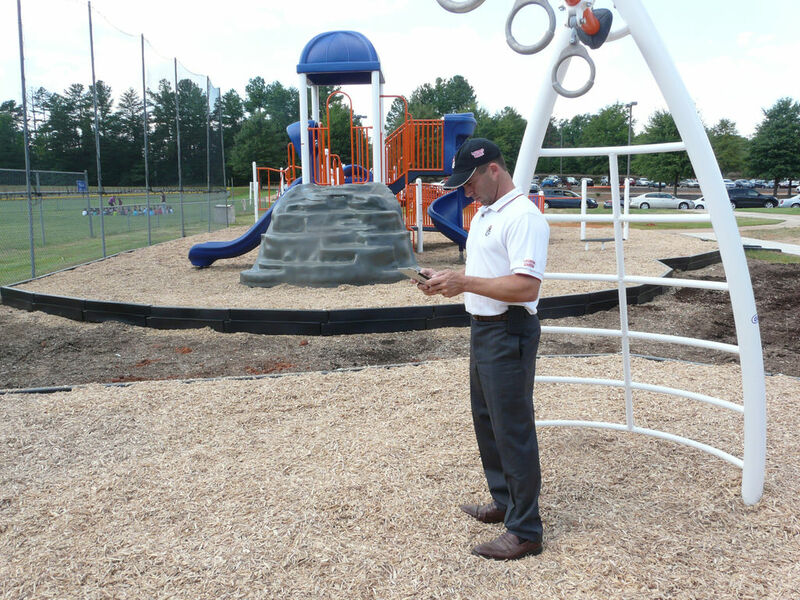 Last year, CMS decided to begin using the inspection software to inspect and maintain their own playgrounds. Parks and playgrounds are long-term investments, and if properly maintained can provide fun and recreational opportunities for families for decades. Research shows that well-maintained parks and playgrounds could lower the risk of costly litigation, increase the life expectancy of play equipment and park amenities, reduce complaints and most importantly keep recreational users safe. Playground Guardian’s exclusive inspection software, Park Protector, can help you maintain and manage your entire park and playground system. Go digital with your park and recreation inspections and asset management. For more information, call (800) 438-2780 ext. 200, or visit playgroundguardian.com.